Living in a big house of your dreams. What if I become rich… Flying around the world, enjoying fine cuisine, moving into a big mansion… Winning a lottery or gaining ample of money will let me enter the luxurious life! That’s something you may once in a while dream about. Those wish may come true by selecting a large scale share house. 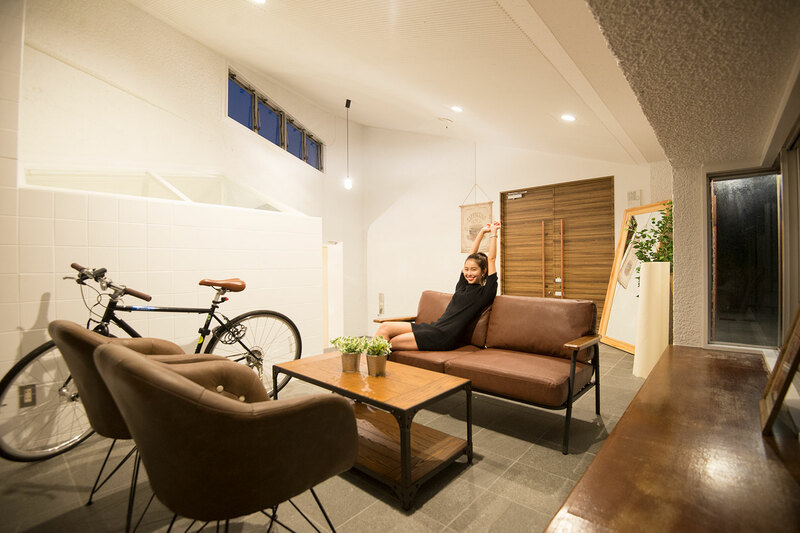 Recently, it is becoming common for people to regard share house as one of the choice when selecting residences. 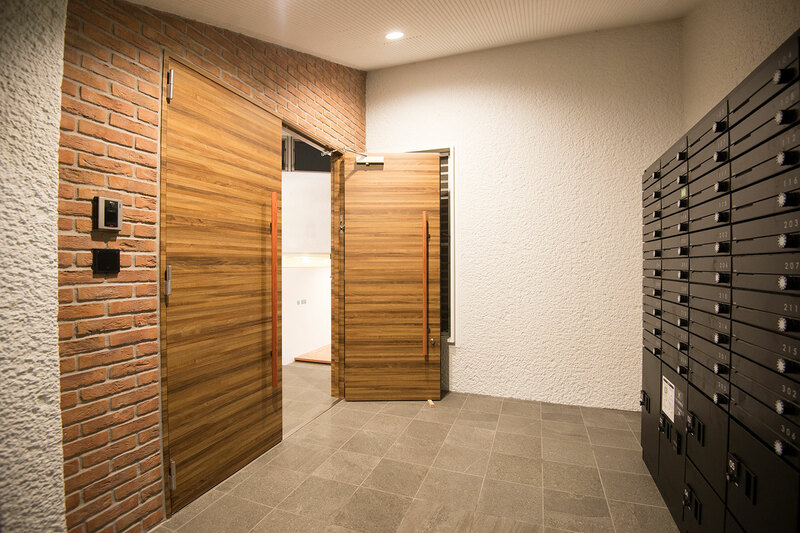 House with various concepts and size is being open in the market. 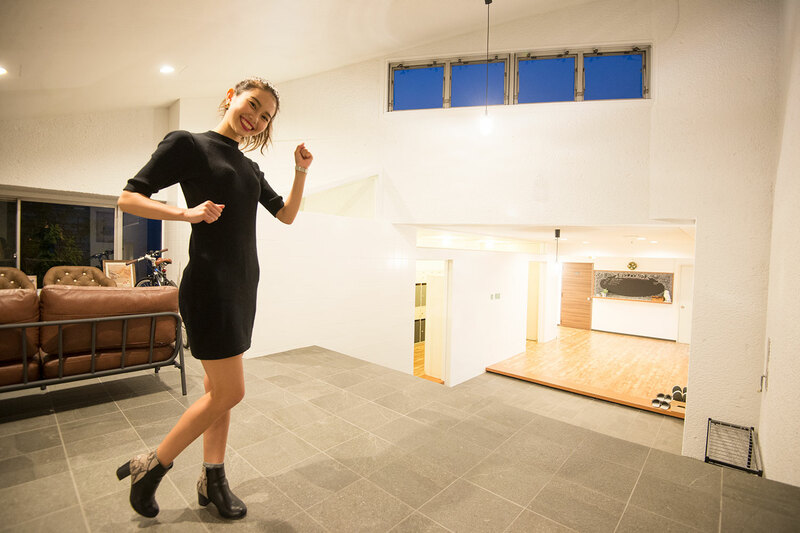 With more residents, the bigger the house gets, followed by expansion of sharing spaces such as living rooms and kitchens. 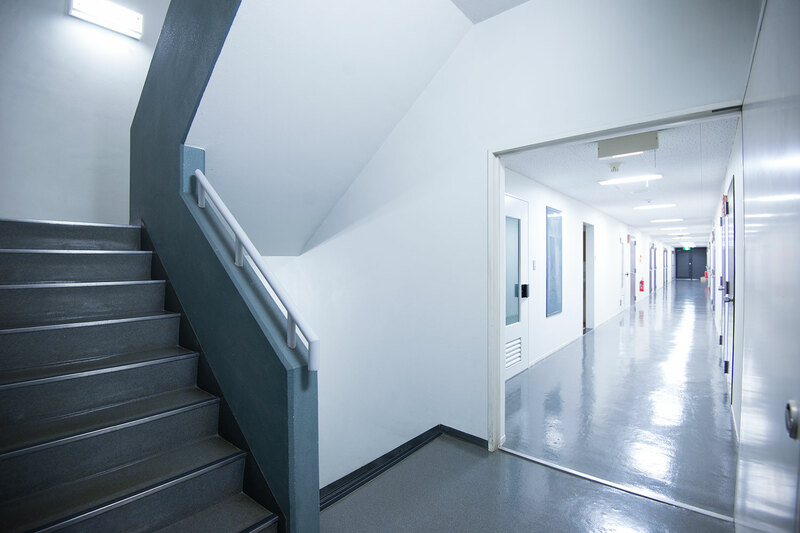 Though bigger the space, it seems more like a “facility” rather than a home. On the contrary, small houses have the warmness we wouldn’t want to miss. Aren’t there any share house which has both positive aspects? 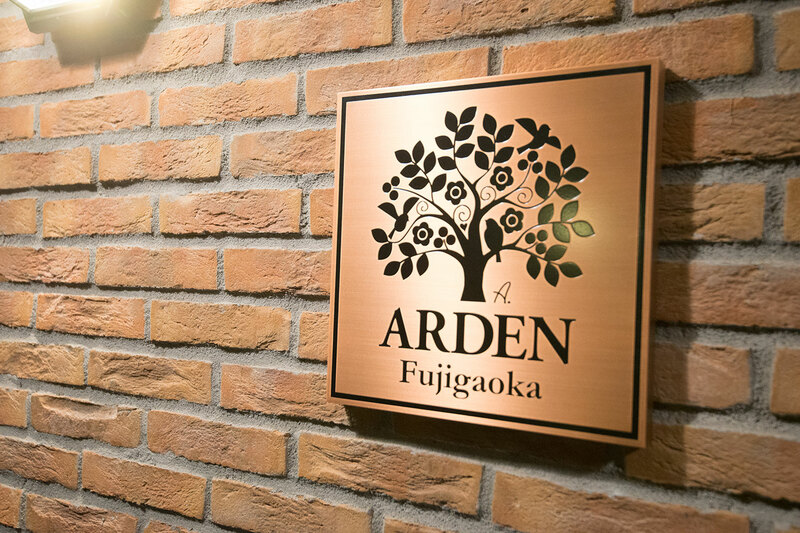 The share house “ARDEN Fujigaoka” we introduce to you today may be the solution! Newly opened in August, the house can hold up to 40 residents. 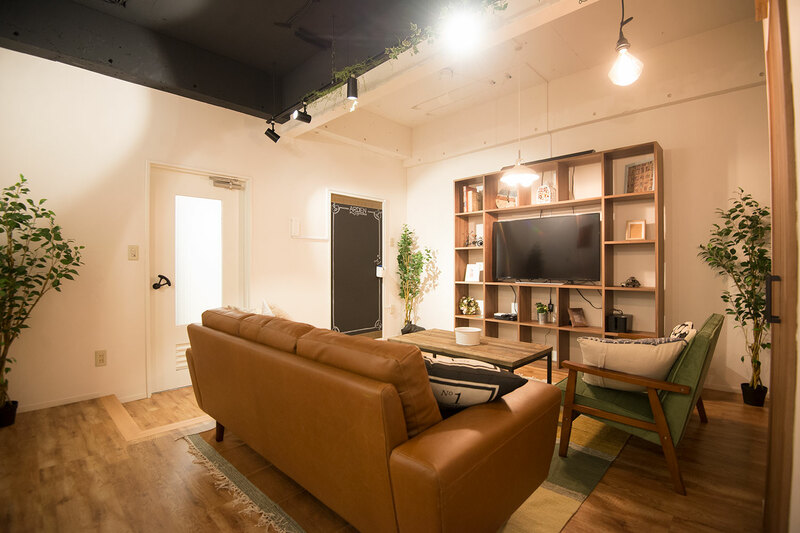 They turned former company’s housing to an decent and fashionable flat. The three sharing rooms have ample of space. Addition to living room and dining kitchen, there is a library where you can appreciate reading peace and quiet. The life of ease and luxury may be in your hands. 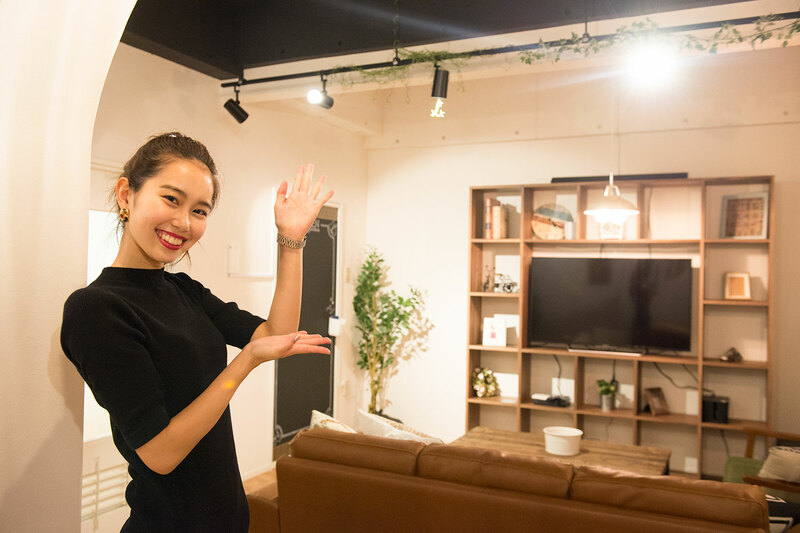 Let’s tour around the house with Mai, the share ambassador. ARDEN Fujigaoka is located at “Fujigaoka”. 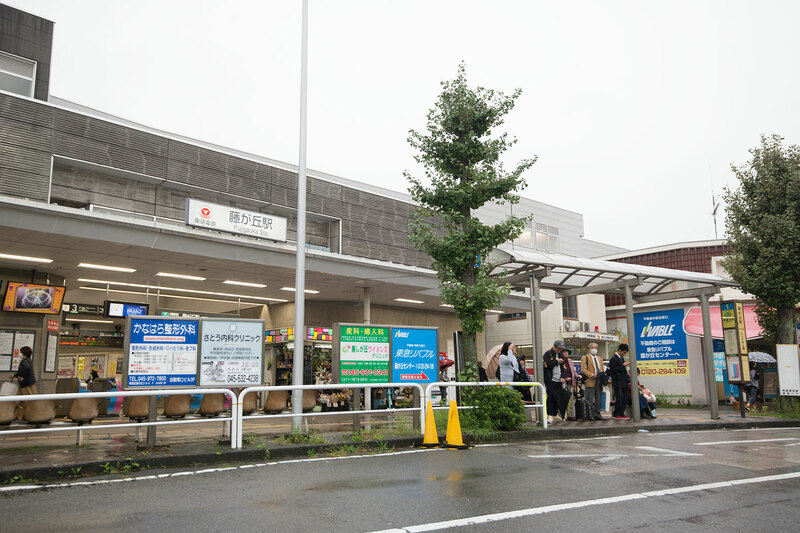 It is a decent commuter town located in Aoba-ku, Yokohama city, Kanagawa prefecture where Tokyu Denentoshi line stops. 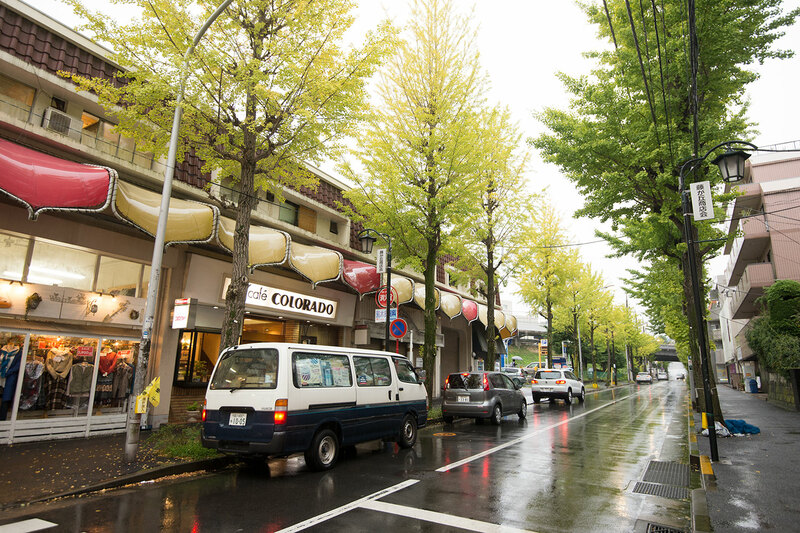 Aoba-ku is known as one of the nicest residence district in Kanagawa prefecture. As you can see in the picture above, the trees rowed in front of the station and the streets are neatly trimmed. When the season changes, the leaves will turn into yellow. You will feel the season passing by. 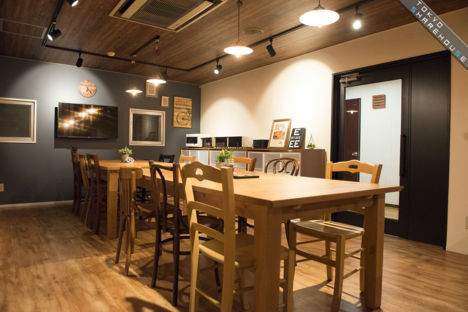 8 minutes walk from the Fujigaoka station, there stands a building with totally different atmosphere from other houses. 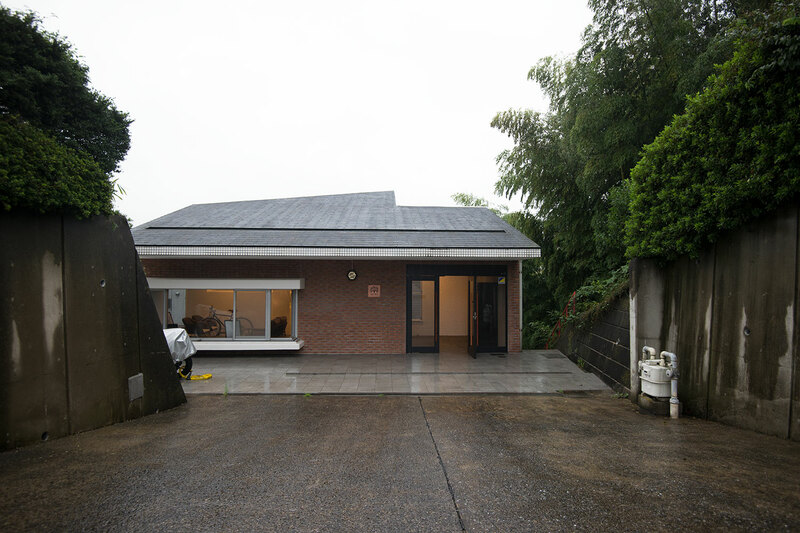 It is build on the slope from the lower part of the road. 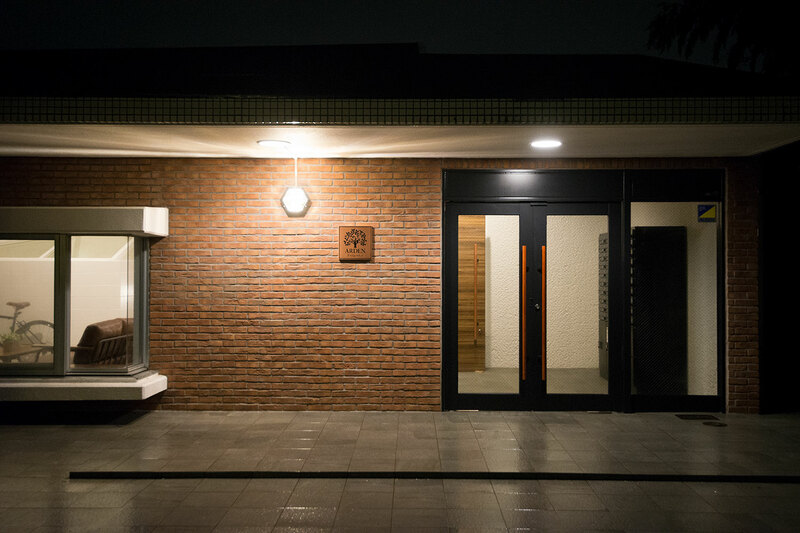 The pictures are the house’s entrance. On the day of shooting, it was raining and the environment of bamboo bushes made the building look shady but it actually fits perfect for the design. In the night time, when the whole town darkens, ARDEN Fujigaoka outstands from others dramatically. It may sound childish, but it looks “cooler” at night. Along with the beauty, it’s so picturesque. 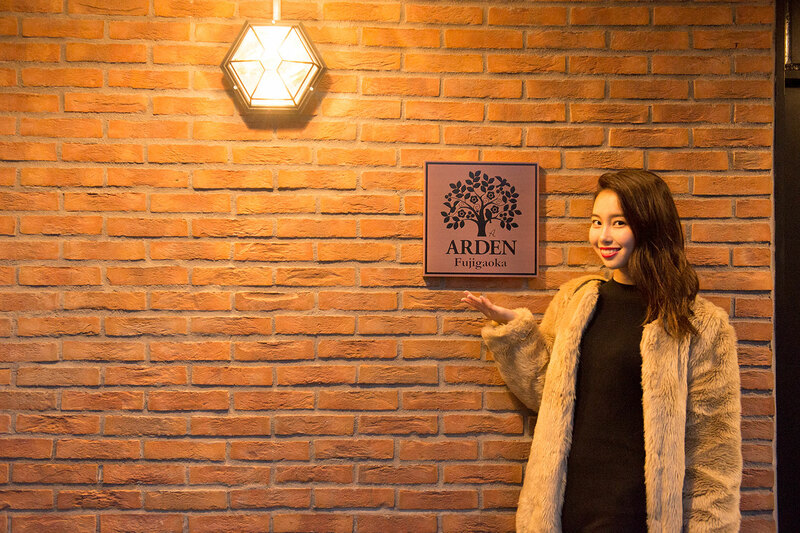 This is Share ambassador Mai, the image girl of ARDEN series. Let’s join her entering the house! 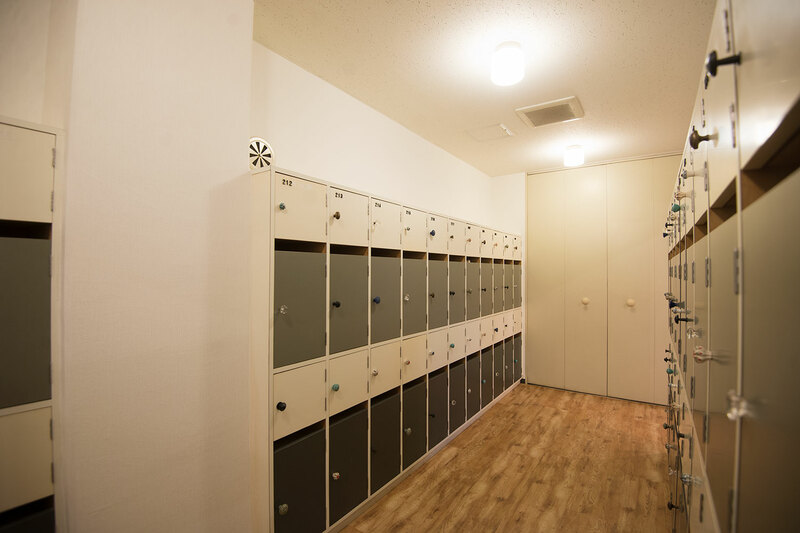 By opening the first door of the entrance, you will find mailing boxes. Mailman can drop off your package in one of the vacant mail boxes when you’re absent. Moving on to the second auto lock door. Surprising entrance looking like the one in luxury apartments. At first glance of this view, you will fall in love with ARDEN Fujigaoka. 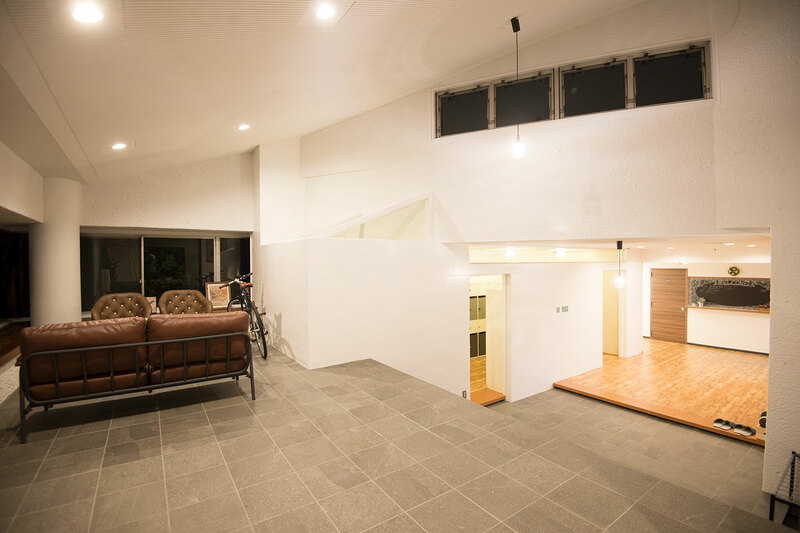 The unique ceiling extending diagonally has skylight which at the daytime will provide enough sunlight in the room. With full-length mirror, you can check your appearance before going out. Considering that it’s contiguity with entrance, there seems to be few residents using the space. But looking at the bright side, this may become your private space of your own. I’m getting more and more excited! You have to take off your shoes when entering the house, so put on the slippers and let’s get into it! Shoes cases lined up for 40 households. There are two boxes for each rooms, one small and one big. For example you can put one boots on the upper shelf and four low cut shoes on the lower. 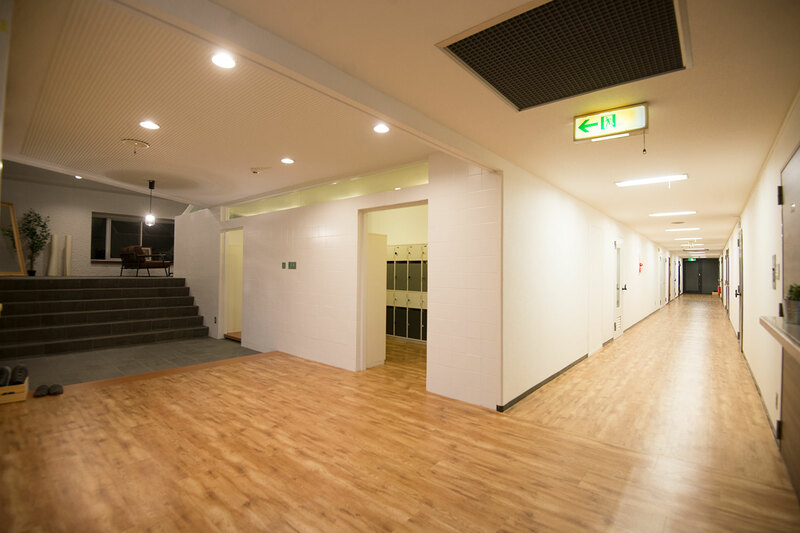 Let’s take a step into the main lounge, one of the three common spaces. 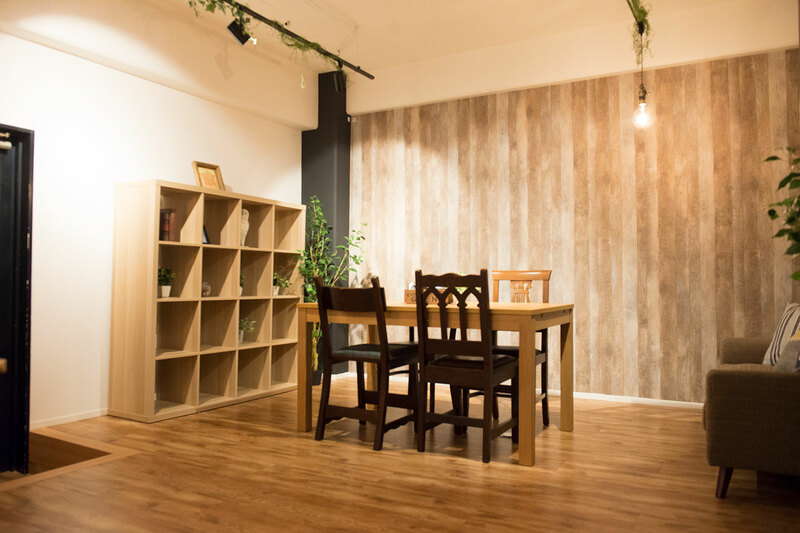 Calm and tranquil design with lots of wood used for the furnitures. Adding the fake greenery makes all the ARDEN series look like the fashionable cafe. 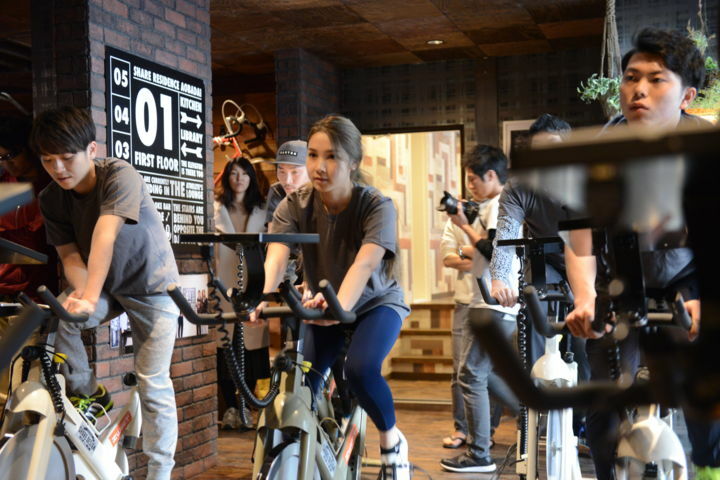 Speaking of ARDEN series, English lesson “English Activity” held on a monthly basis is famous. It is not anything serious, think it as a communicating occasion brought to you by owners of the house with entertainment of drinking and playing games. 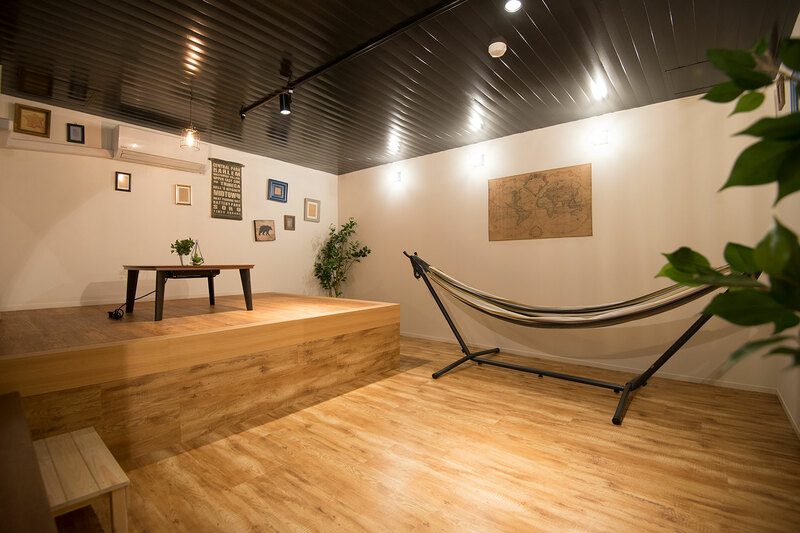 Further into the main lounge, there’s a relaxation room with small separated seating area and a hammock. The stand alone hammock is durable with three people sitting on it at the same time. You can let your body sink in. 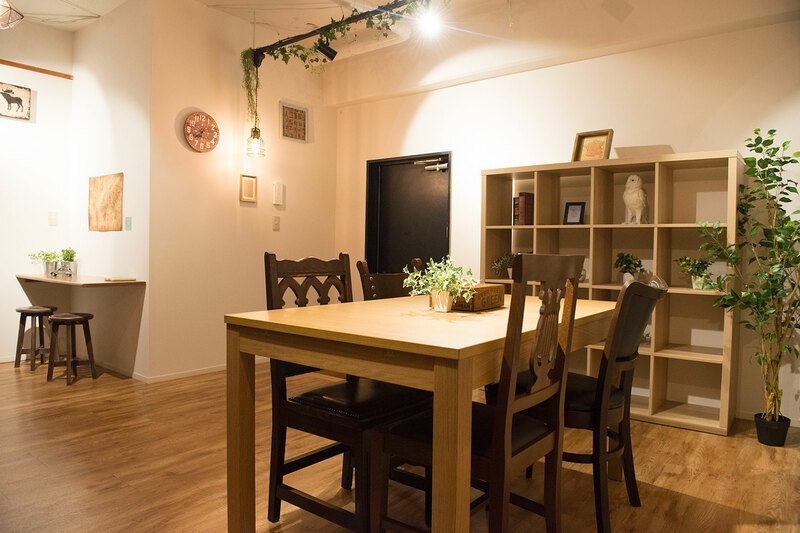 The low table at the small separated seating area will turn into kotatsu. It is a necessary item for winter seasons coming up. 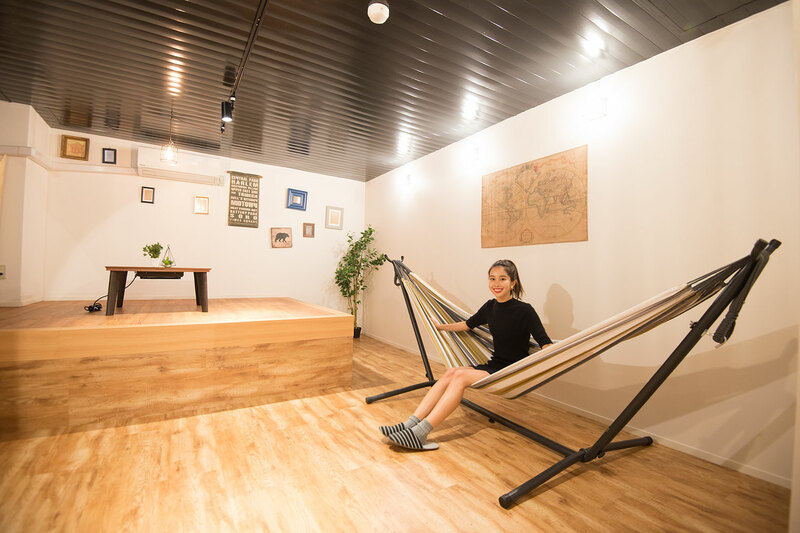 You may not be able to escape from the comfortableness at the lounge space. Moving on to the second common space, the dining kitchen! Chic design for adult suits the ARDEN style. What kind of conversation will be heard at the dining table for maximum of 12 people? Conversation starts naturally by enjoying food together. Every dining chair for ARDEN series are slightly different in its’ designs. Even so, the balance is well preserved, thanks to the sense of the owners. The designs of the furnitures are quite brilliant. 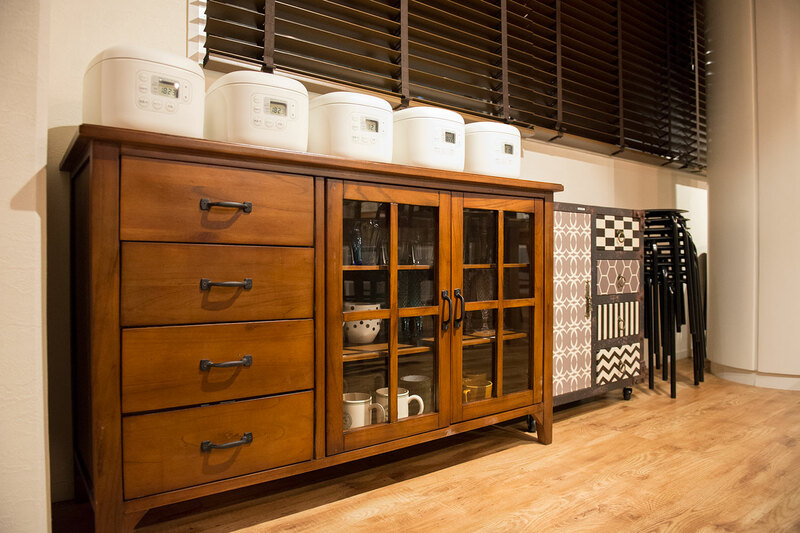 Cabinet to put mug cups and glasses is made from wood in order to match the room’s scenery. 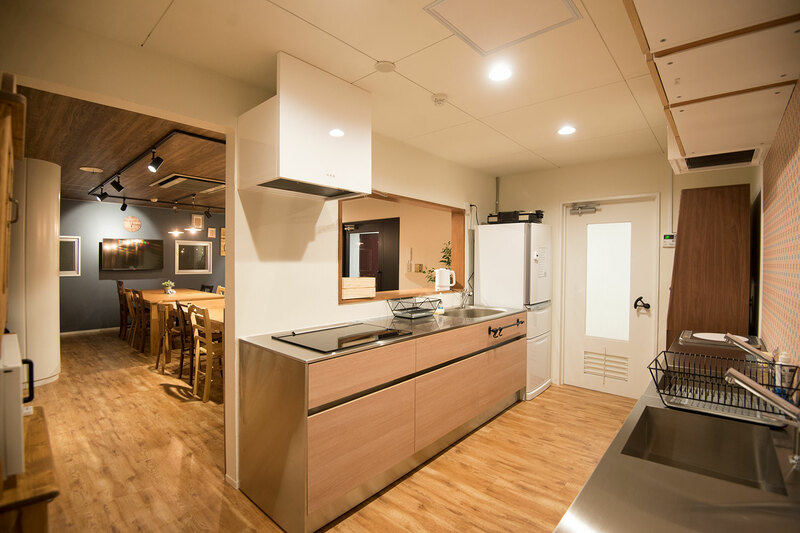 Looking from the different angle, you will find a kitchen besides the dining space. This partition will avoid the exposure of the kitchen from the dining room when cooking. The question is, wouldn’t the kitchen be crowded with 40 residents sharing one space? Well, it may be surprising to find out that it can be managed since everyone has slightly different lifestyles. 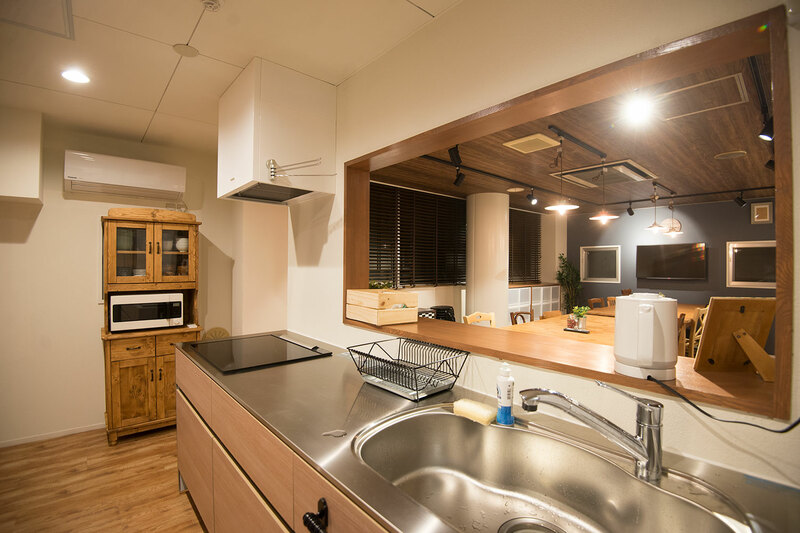 Plus, two mini kitchens are available behind the main one which ables three people to cook at the same time. Safety is the priority especially with lots of people living together. For example, they adopt IH instead of gas to avoid fire. 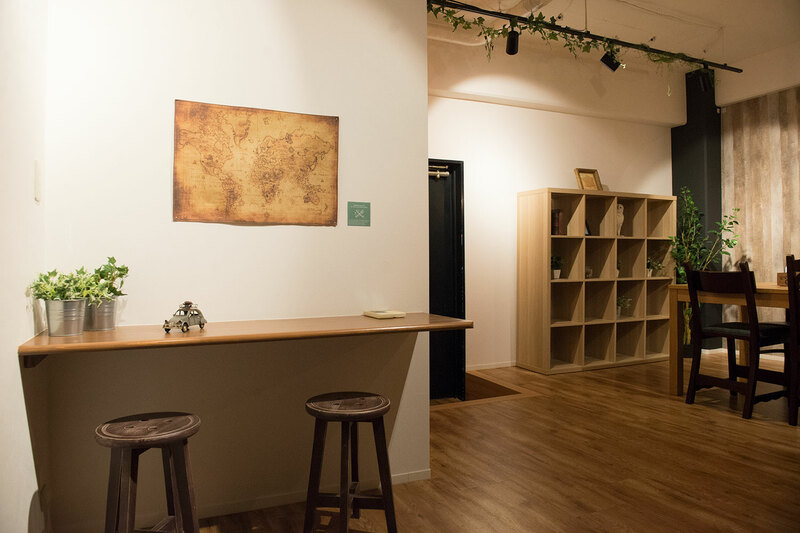 Let’s take a look at the last of three common spaces, the library. Compact space with comfort. 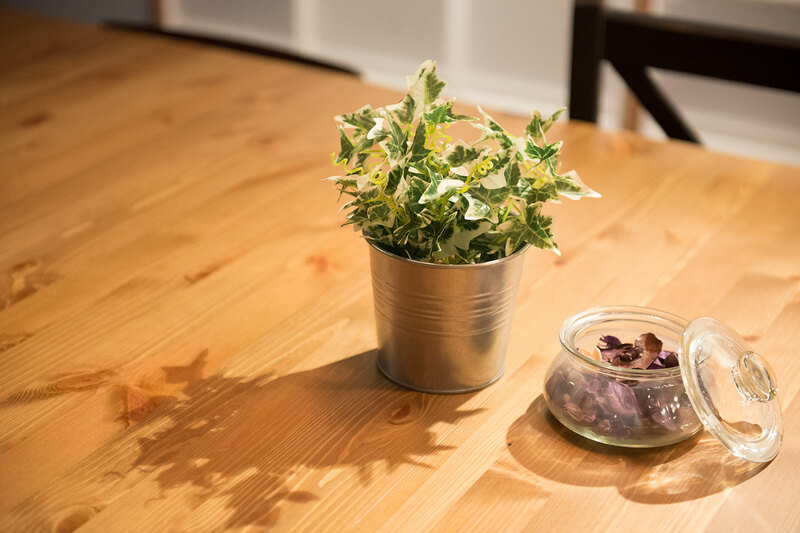 Pendant lights and spot lights provide enough brightness for reading. Enjoying communicating with your share mates in the lounge or dining kitchen is pleasant but you may also want privacy once in a while. It is the time when you may find your place at the library. Select the room you spend your time by purpose and you will sure manage to ease your nerves. There was a counter at the corner. 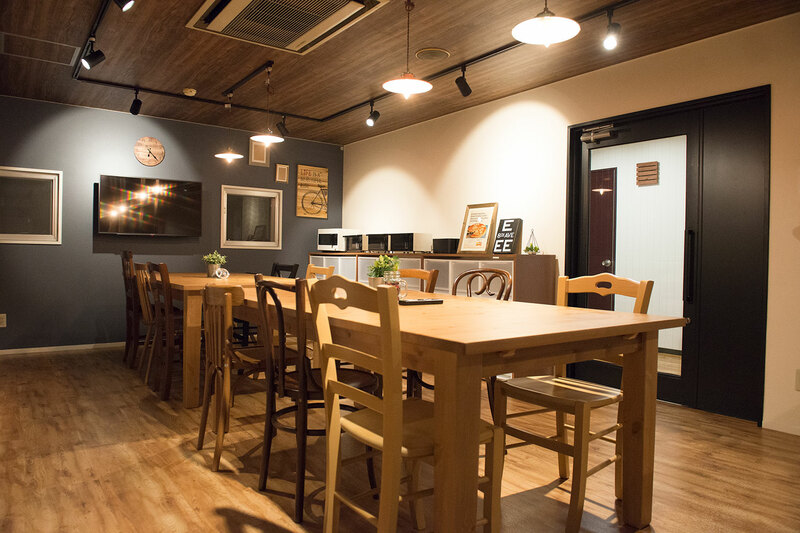 Using PC under WiFi environment with cup of coffee by your side, that’s a kind of scene you may encounter at the cafe in town. What’s your opinion for the three common spaces? 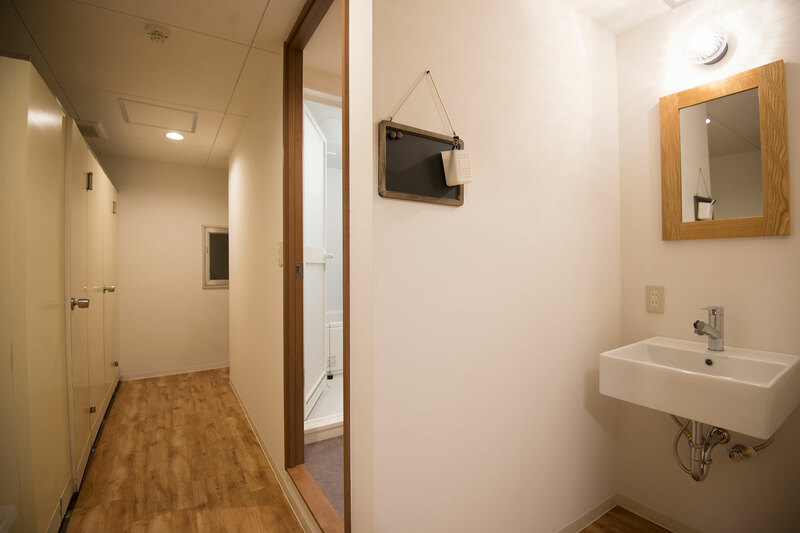 Now, let us introduce you the basin, shower rooms, restrooms, and laundry rooms you use on daily basis. 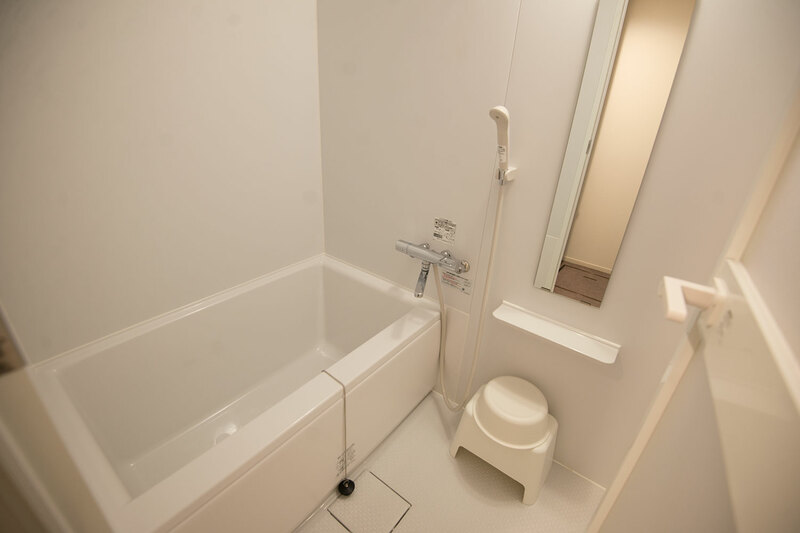 This room on the third floor is completed with shower, restroom, laundry, and basin. There are basins at each floor. 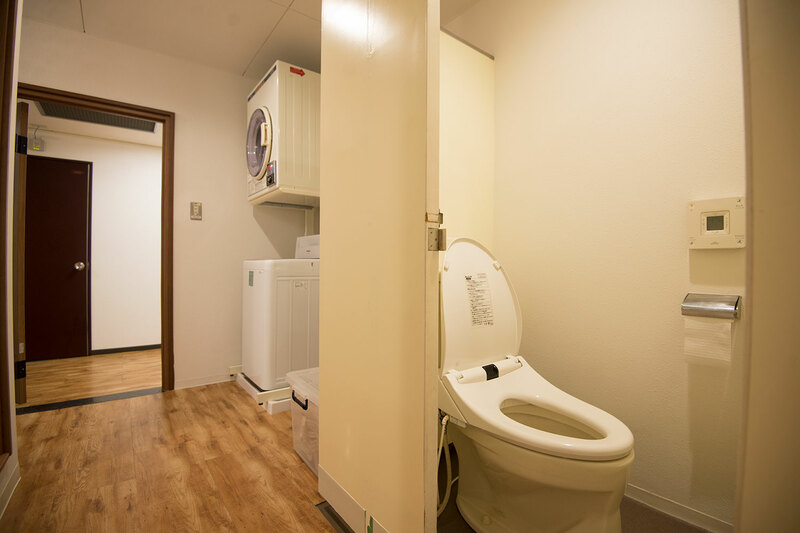 Toilet with bidet and heated seat functions are fully equipped. No need to endure the cold and small seat like you had in your 1 room apartment. Shower boothes are 8 in total. 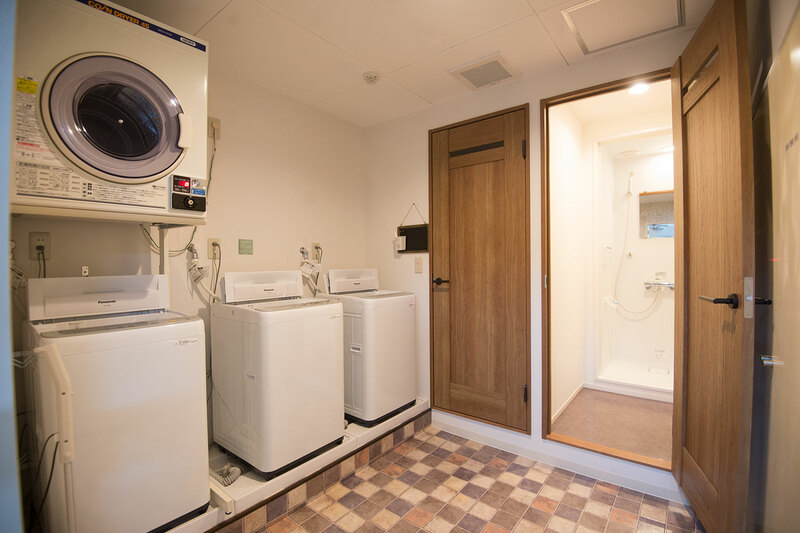 Cloth dryer will cost you a coin, but laundry machine is free to use. There are 3 bathrooms with tubs besides 8 shower rooms. It is good to have bathtub filled with hot water in this time of the year. You all women must be concerned about the usage of the bathrooms, but don’t worry, the bathrooms are separated by gender. This is the living room located on the second floor right down from the third floor. 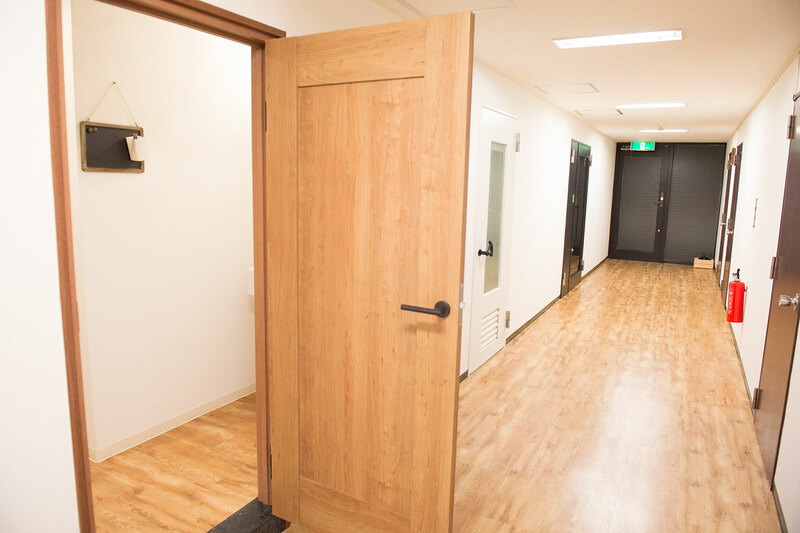 Finally, let’s take a look at the private rooms. The building is once a company housing. 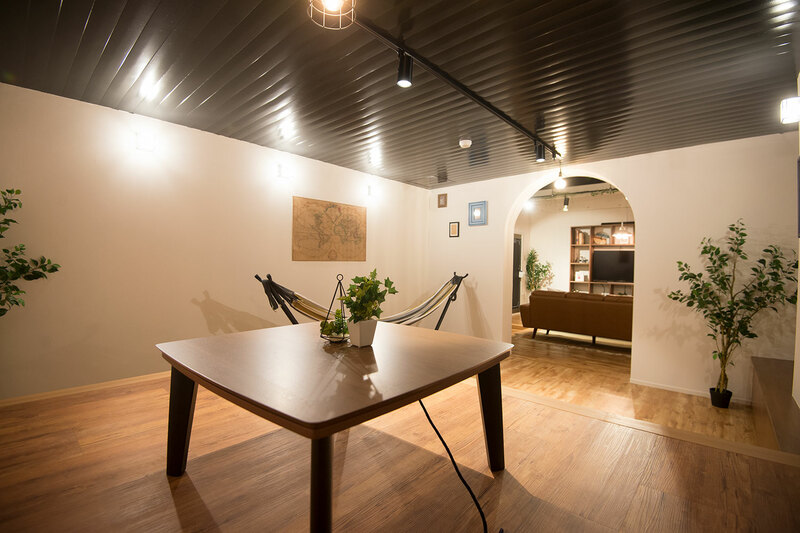 This means that it was a dormitory which explains this nostalgic atmosphere. 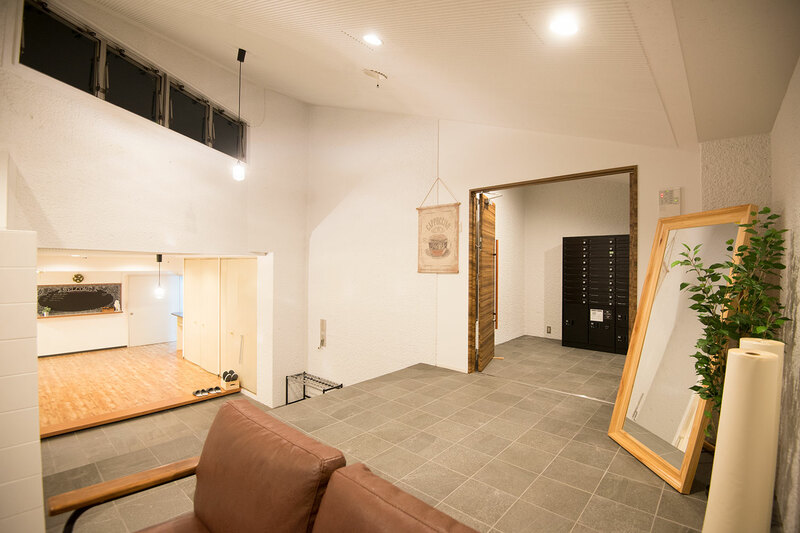 One room is 12㎡ big, enough for a person to live. 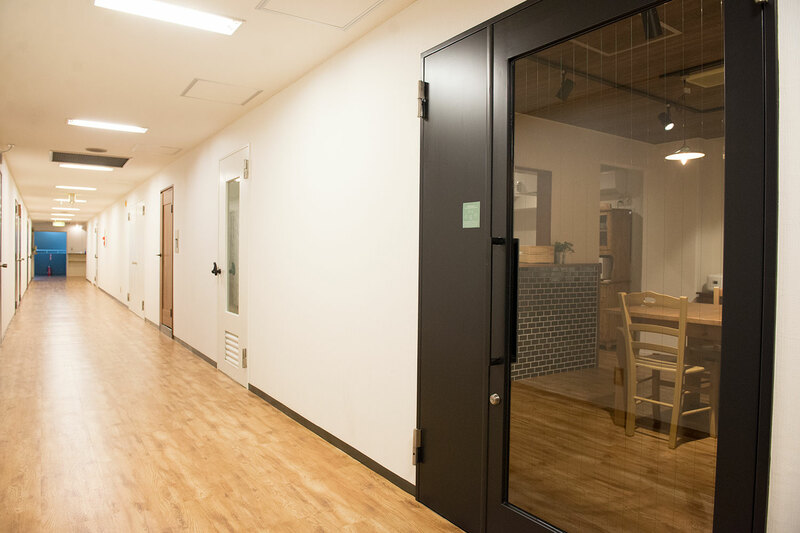 The room consists of desk, chair, bed, and refrigerator. The big feature is that this room has plenty of storages. It is pretty common design in the older days, but this will be enough space to put all your stuffs. 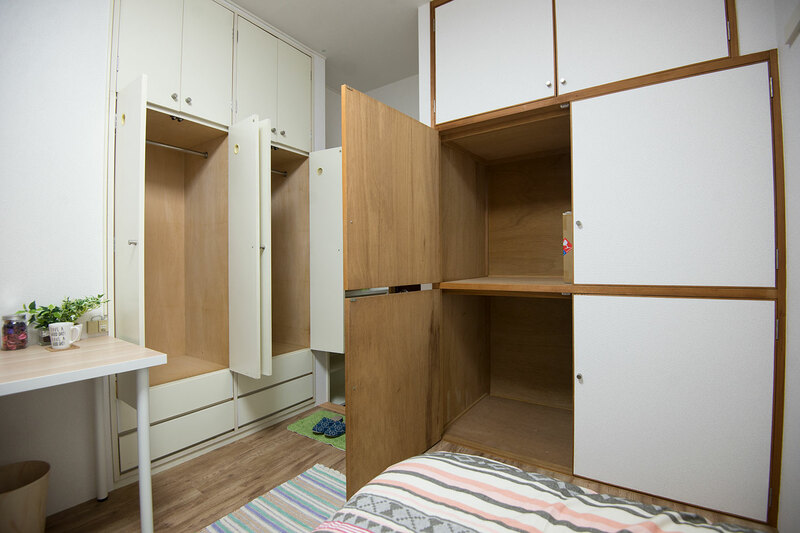 There are wall storages and 1.7㎡ wide closet. How did you like it? 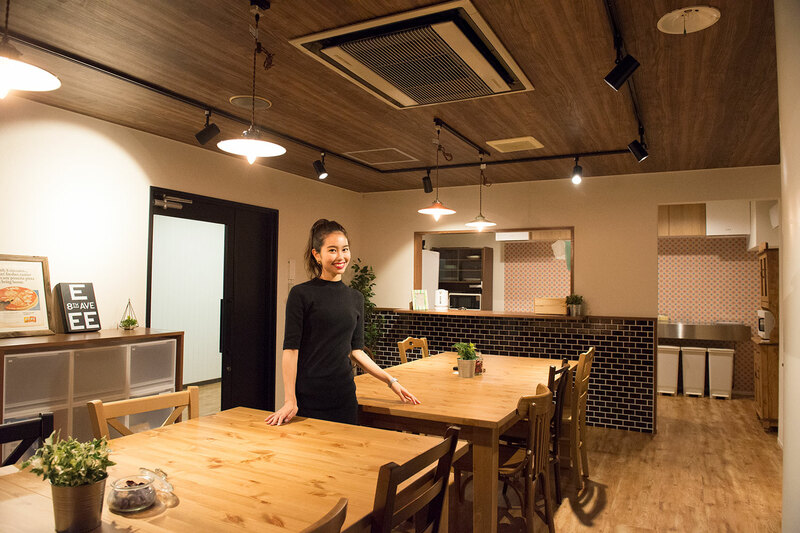 The share house that we introduced to you today was a new residence ARDEN Fujigaoka run by Share Style Inc. Choose which common space to spend your day according to your condition. If you feel like talking to people, go to a living room or dining kitchen. When you decide to work, read, or focus on your private time, choose library. By selecting the room based on the purpose or usage, it will sure make it possible to cherish both your own and others’ time at the house. Imagine how much it takes for you to live in a apartment with this scale of living room. Don’t give up just yet. It is possible for your “living in the big house” dream come true by selecting these kind of housing. The choice is yours.